I've been through the desert on a train with no name. Imagine, all you’ve ever known are the dank tunnels of the Moscow subway system. You were raised there, amid the shacks and hovels of a city’s survivors, attacked daily by vicious mutant animals, short on food and water, rarely venturing above-ground lest you succumb to radiation—or, more likely, other scavengers. And then one day you leave, and you find out it didn’t have to be that way, that there’s life outside Moscow. There are places the nuclear bombs didn’t touch, or at least left a lighter impression, where people live on almost like nothing happened. Such relief, to have made it out alive. Such disappointment, that it didn’t happen sooner. We last saw Metro Exodus at E3 2018, and I liked what I played. I was overwhelmed as well, but I enjoyed it. Ditching the corridor-shooting structure of its two predecessors, Metro Exodus ($60 preorder on Humble) sees Artyom finally venturing out of the titular Moscow metro into the Russian countryside. 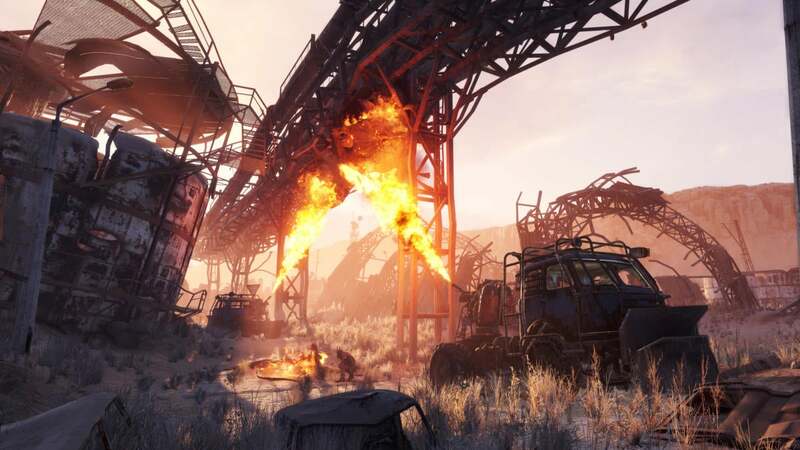 It’s a much more open game as a result, and as I said in June: It feels a lot like S.T.A.L.K.E.R., the series Metro modeled itself after in the first place. It’s not an open-world game in the strictest sense. Exodus is set over the course of a full calendar year, as Artyom and his small crew of survivors travel by train across Russia. Thus the game is split up into a few discrete maps, each representing a new season. In June we saw the Volga, Exodus’s winter map, a swampy area full of deranged cultists and hidden horrors. This time around we treated Artyom to summer on the shore of the Caspian Sea. 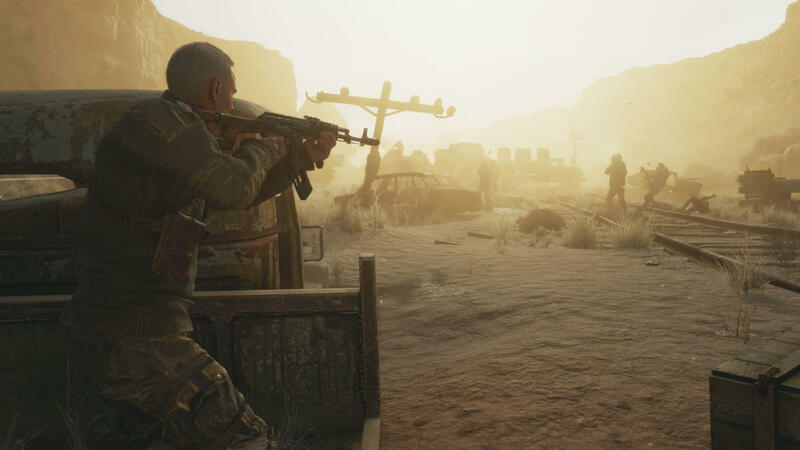 Not even nuclear winter can last forever, and Russia’s arid desert fills with sandstorms on a semi-regular basis, cutting visibility and forcing Artyom into his gas mask unless he seeks shelter. It’s also full of some of the most horrific mutants I’ve seen yet in a Metro game, with what seems like human/chameleon hybrids who hide almost invisible against walls, their telltale heavy breathing the only hint you’re not alone. At E3 we were ambushed, our train forced to a stop. Here we chose to stop, albeit with the threat of ambush on the horizon—and the promise of fuel, if we dealt with the locals. These locals weren’t any friendlier than the last though, presiding over a slave workforce and hiding inside well-armed forts. It’s all very freeform, same as the E3 demo. You can beeline straight to the mission objective, roughly marked on Artyom’s map. Or, if you’re like me, you can spend hours wandering through crumbling ruins and secondary bases, stealthily killing enemies and stealing all their gear. The sense of discovery in Metro Exodus is refreshing in some respects, given the constrained scope of the first two games. 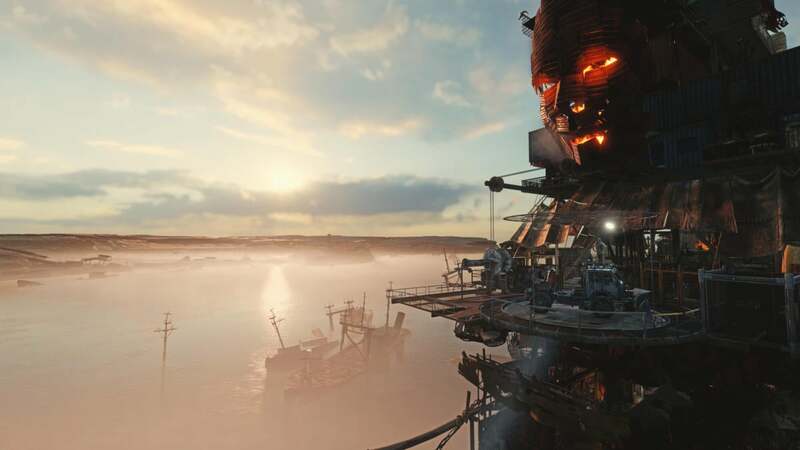 It’s great to see the series given space to stretch, test new environments and enemies, and adapt from a survival-horror mindset to a more modern survival-first setup, lifting crafting elements from Rust and games of that ilk. 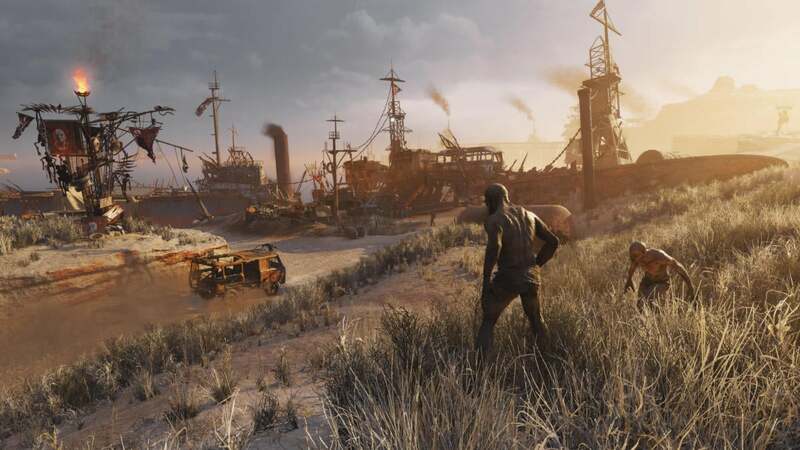 But the pacing suffers, as it tends to do in open-world games. At E3 I bemoaned our one-hour time limit, which forced me to stop scavenging and make a beeline to the main story mission. This time I had the luxury of three hours in the Caspian desert, which let me play Exodus more like I’m used to playing a Metro game—slowly, stealthily, and scrounging for every last bit of supplies in rusted-out buildings and the hulks of grounded ships. Balance breaks down first. Metro: Last Light was a bit more generous with ammo than its predecessor, but you were still meant to feel weak and relatively powerless for most of the game. Exodus allows you to craft your own ammo though, which frees you up to tear through enemies. It’s necessary, to an extent—mutants respawn after a time, so you’re never going to rid the desert of the horrific chameleon-men. But the side effect is weapons that used to be a last resort, like the shotgun, are now viable for any encounter. I had hundreds of surplus crafting supplies by the end of my demo, with all my ammo and medkits maxed out. This isn’t a new problem, per se. 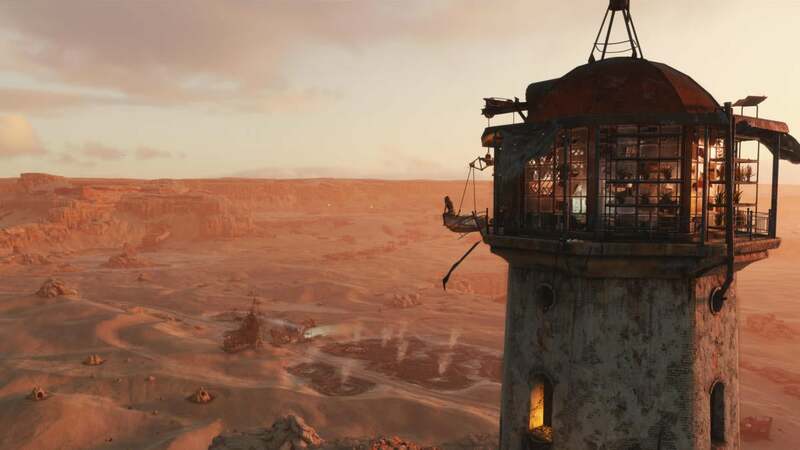 Many open-world games have the same issue, trying to simultaneously balance an experience for the “Checks every corner” player and the “I’m just here for the story” player. It’s a new issue for Metro though, and one that fundamentally changes the feel of Exodus compared to its predecessors. I’m mostly worried about the story though. At E3 I barely got a sense how the story would flow. This time around I finished quite a few missions and explored a large chunk of the Caspian in my three hour demo. And it gets a little wonky. For instance, the local warlord is constantly broadcasting his thoughts on you, your train, and your actions around the Caspian. Your presence is seen as a challenge to his dominance—a threat. But not enough of a threat for him to send anyone to your train or mount any sort of attack on your crew. In a similar vein, I helped save a woman who was living at the top of “The Lighthouse,” a tower perched on a cliff. Before climbing up to meet her I wandered into a nearby bunker and found a door that wouldn’t open no matter what I tried. Turns out I needed to talk to the woman, who then accompanied me into the bunker and opened the door. Again, these aren’t new issues. Assassin’s Creed: Origins often felt like there was little reason to explore any location until a quest sent you there, else you’d inevitably find yourself back at that bandit camp a few hours later. Same with Mass Effect: Andromeda. Even genre favorite The Witcher 3 suffered from pacing issues, begging you to believe your daughter was in mortal danger while you...sat and played cards in a pub. They’re new problems for Metro though, and I’m not sure how I feel yet. On the one hand I’m excited about the open-ended approach. I liked, for instance, that when saving the woman at the Lighthouse I could go in guns blazing or flank every soldier one at a time, taking out a whole unit before anyone knew I was there. Later on I was given three optional objectives and told to tackle them in any order, which was also neat. There was a sniper watching our train for instance, and I had to assault an outpost and climb a tower to take him out. Did I accomplish something in the process? I hope so. I hope there are consequences for achieving (or not) these optional aims. I find myself happier when the game narrows its focus though. Late in my demo I went into the aforementioned bunker and found the decaying remnants of a Soviet outpost, rows of blank computers a grim reminder of the pre-nuclear world. Maybe it’s a sign, that my favorite part of Metro Exodus so far is the part that felt like, well, a metro—dark, spider-infested, and unabashedly linear. It’s hard to know, really. Most open-world series started as such. Few have made the linear-to-open pivot, and even fewer have done it successfully. That makes even a three-hour demo of Metro Exodus ($60 preorder on Humble) a bit hard to read. There’s plenty I’m excited about here, but a few glaring issues that could undermine the whole endeavor. I’m excited to find out which way the balance tips though. 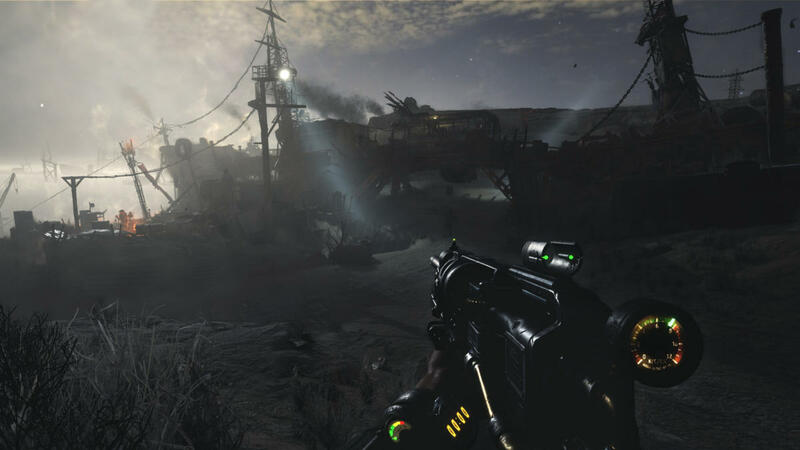 It’s been a long road, from Metro: Last Light to Exodus—six years, and almost an entire console generation. The entire games industry has changed in that time, and Exodus is valiantly attempting to change with it. Here’s hoping it’s worked.